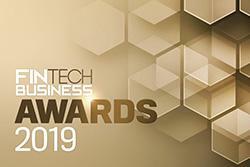 The 2019 winners of the Fintech Business Awards were announced at a gala dinner last night in Sydney. The third annual Fintech Business Awards received over 200 submissions across twenty categories making it the biggest one yet. Ninety-six unique companies were in the running for the 2019 awards and in the end 15 unique companies were recipients of awards. Congratulations to all the winners of the 2019 awards.